D'fine art has been active in the film and television industry for almost 20 years by serving in the department of production designing and art direction. Our unsurpassed experience and the strong connection with Bollywood have inspired us to produce movies and television programs such as feature films, independent movies, documentaries, television series, Commercial Ads, reality shows, short films and music videos. 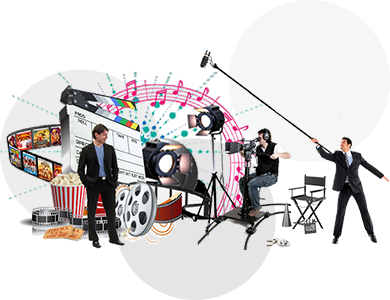 Our film and television production vertical are packed with highly efficient script writers, production designers, 2D / 3D animators for story boarding and pre visualizing, art, editors, audio and visual effect creators for enhancing the quality of the product all in one destination.